Interstate Accident Reconstruction Consultants recognizes the importance of providing a quality traffic accident reconstruction product. 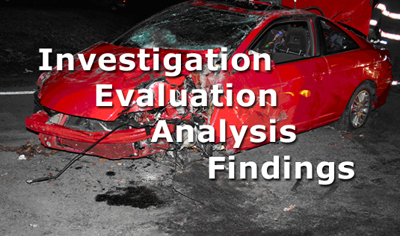 Our commitment to your goals starts with a thorough review of the available evidence. Our objective evaluations, effective analysis and follow up discussions will provide your firm with the necessary information to make sound decisions. The extensive training, education, and over 25 years of accident reconstruction experience will provide quality assurance solutions for your reconstruction needs.